And it’s the home of larger-than-life locales and legends. Start by spending some time at the largest petroglyph site in the Southwest. 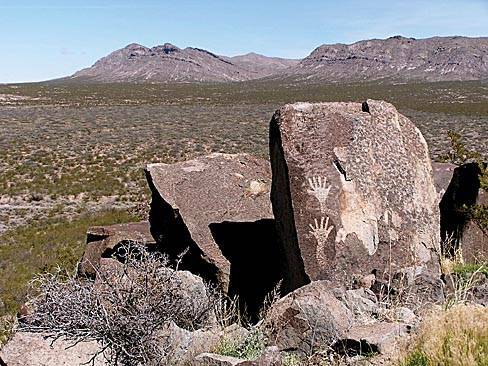 Three Rivers Petroglyph National Recreation Site claims more than 21,000 ancient symbols inscribed on its rocks—we challenge you to find at least half! And speaking of large, the southeast is home to what’s been referred to by many as the Eighth Wonder of the World. Carlsbad Caverns National Park invites you to explore some of the world’s largest caves—there are 100 known caves here, whose collections of stalagmites, stalactites, and Mexican freetail bats will leave you speechless. Also in Carlsbad: the Living Desert Zoo and Gardens State Park, where your imagination can run wild with endangered wild species. From Mexican wolves to Bolson tortoises and thick-billed parrots—all are expected to be on exhibit starting this month.